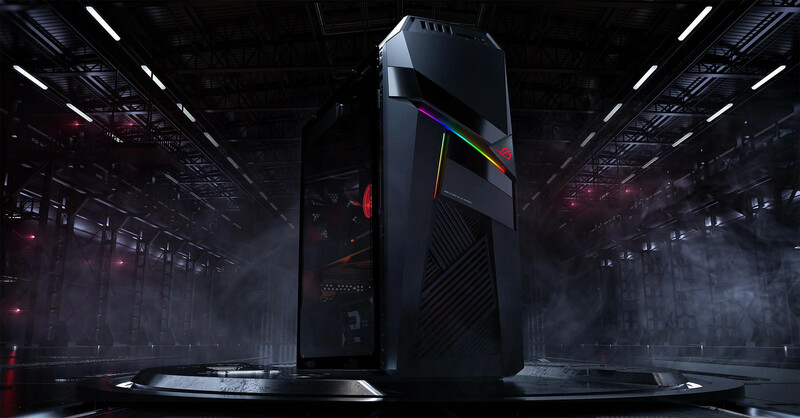 On the heels on Intel unveiling its new desktop CPU lineup, Asus has announced an upgrade to its ROG GL12 gaming desktop. 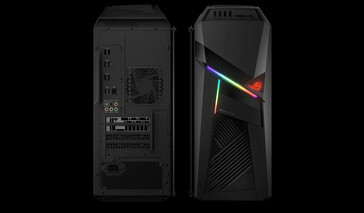 The new ROG GL12CX is now available with the latest Intel Core i9-9900K on the Intel Z390 platform and can be configured with the NVIDIA GeForce RTX 2080 Ti GPU. The ROG GL12CX is now up for pre-order and is expected to ship this November. 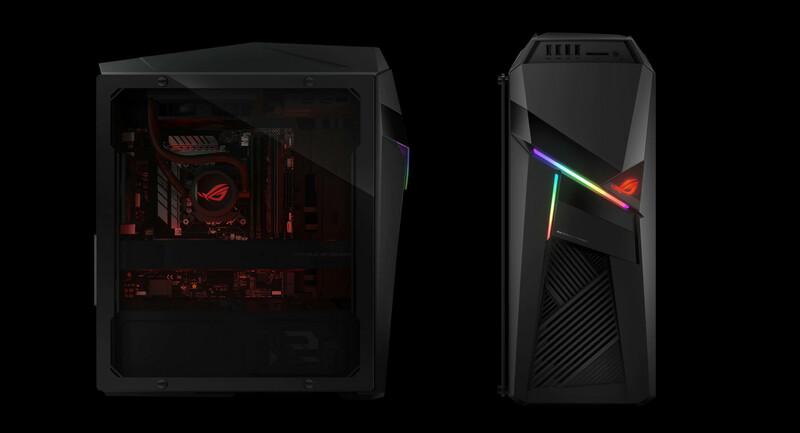 Short on the heels of Intel unveiling its latest Core i9-9900K and other 9th generation desktop CPUs yesterday, Asus has announced that it is upgrading the ROG Strix gaming desktop to sport the latest that Intel and NVIDIA have to offer. The new ROG Strix GL12CX gaming desktop can be configured up to the Intel Core i9-9900K CPU on the latest Z390 chipset, 32 GB DDR4 2666 RAM, and an NVIDIA GeForce RTX 2080 Ti 11 GB GPU. On the outside, the new GL12CX looks similar to the GL12CM sporting the same RGB lighting cuts, front and back panel I/O, and a hot swappable SSD bay on the front panel. The CPU is factory-overclocked and cooled by a custom Cooler Master MasterLiquid Pro 120 closed-loop liquid cooler. Apart from the Core i9-9900K option, you also get to choose between the Core i7-9700K or the Core i7-8700K. GPU options start from the NVIDIA GeForce GTX 1060 3 GB and go all the way up to the GeForce RTX 2080 Ti. The front and rear I/O are fully loaded but apparently, there is no USB Type-C port provided. There are two M.2 NVMe slots on the motherboard alongside five SATA 6 Gbps ports. There's also onboard 802.11ac Wi-Fi, Intel Gigabit LAN, and Bluetooth 5.0 to take care of all networking needs. The Asus GL12CX is being listed for pre-order at US$3,299.99 on the Asus Store and B&H. For that money you get an overclocked Intel Core i7-9700K, 16 GB RAM, a 256 GB SSD + 1 TB HDD, an NVIDIA GeForce RTX 2080, and Windows 10. It will also be available on Amazon, and Newegg with wide availability expected from November this year.